In the video, Phoenix appears as “Arthur,” until his face is interspersed with images of him as the Joker. The camera gradually pulls in closer and we only see him as the grinning villain, with his signature white face and red lips. The video, set to “Laughing” by the Canadian band The Guess Who, ends when his expression suddenly falls. Phillips posted a photo on Sunday of Phoenix dressed up in a button-up shirt and jacket, with the caption: “Arthur.” This is likely the Joker’s name before he adopts his current moniker. Robert De Niro is in talks to join the movie as a talk-show host who plays a role in driving Phoenix’s character to madness. The script has ties to De Niro’s “King of Comedy,” which features the actor as a failing comedian who kidnaps a popular talk-show host to gain fame. For the Joker movie, the roles would evidently be reversed, with De Niro playing the smug host. Zazie Beetz and Marc Maron also star in the pic. 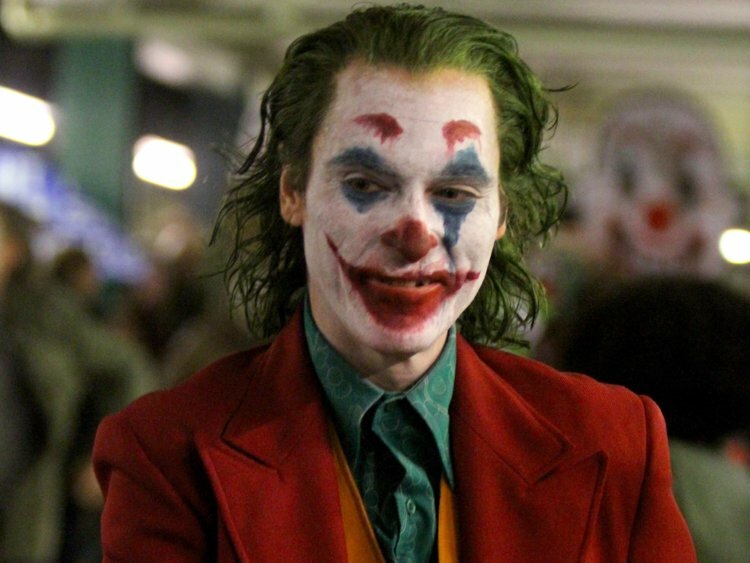 Warner Bros. has said the Phoenix feature will have no effect on its DC Universe, which saw Jared Leto playing the Joker in “Suicide Squad.” The studio is also developing its own standalone Joker film that will star Leto.